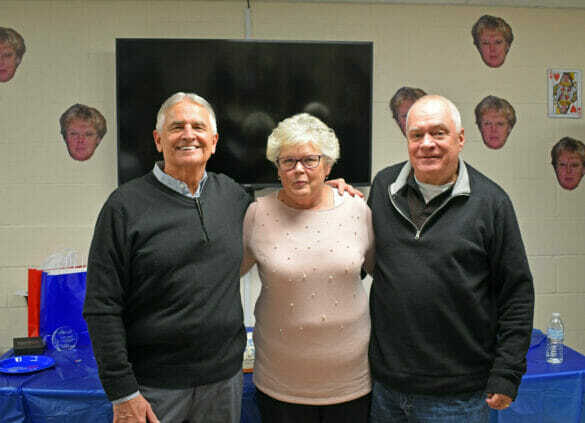 Hilliard staff members said their goodbyes and gave well-wishes to a longtime colleague, Denise Greer, as she celebrated her last day with the City Monday afternoon. Greer, the City’s Payroll Specialist, began her career with Hilliard 26 years ago in the Finance Department. Eventually, she took an opportunity with Payroll. Denise was instrumental in the City’s transition from a pen-and-paper payroll system to a streamlined, electronic software. On her last day, many of Denise’s colleagues mentioned her friendship and kind nature. Now that she’s retired, Denise plans to travel with her husband and enjoy her family, especially her grandchildren.